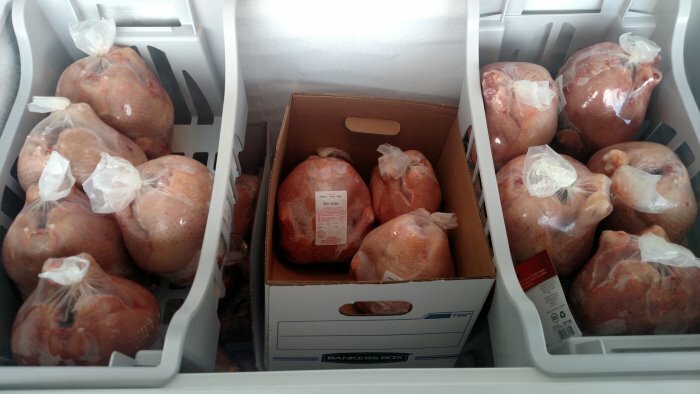 What does a quarter-ton of chicken look like? Like this! 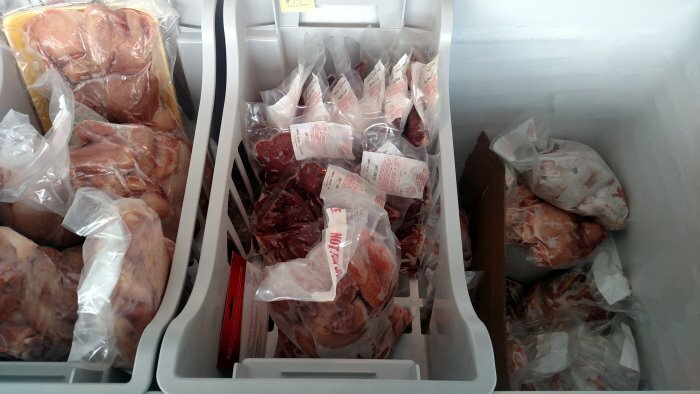 How rewarding to have these beautifully cleaned and packaged birds in the freezer to sell, knowing they have been fed only non-GMO feed and raised on grass! We are excited to see if there is improvement in the next batch being raised. Check out our FARM STORE page to purchase for local delivery to Columbia, Kentucky.